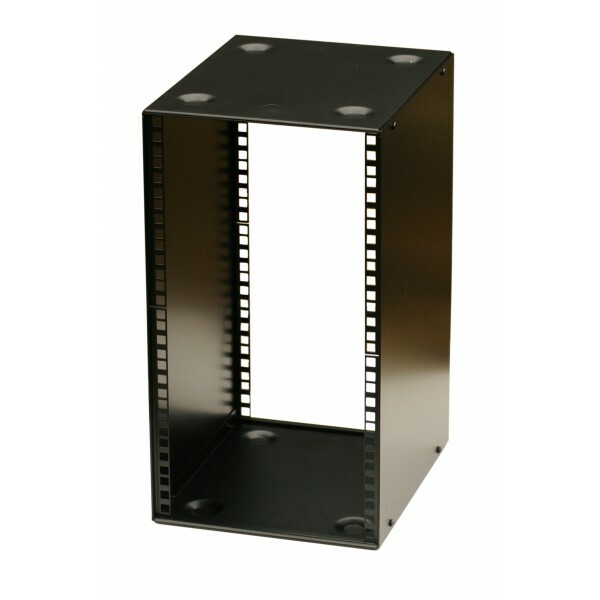 12U, (10.5 inch 266mm width) half-rack 200mm stackable cabinet, Front and Rear fixings with 20 cage nuts, washers and screws provided. 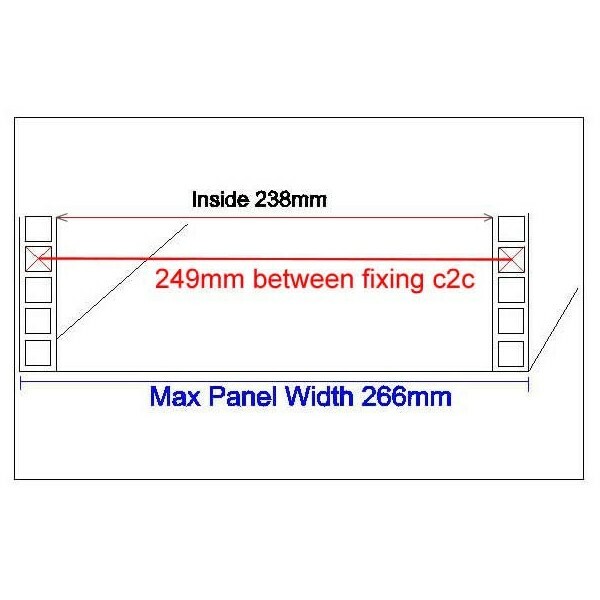 This box has 12U of standard 10.5" profiles at the front and rear at 182mm approx apart. The top and bottom also have a pre punched knock-out hole for any wiring if the box is mounted on a wall.